Two entrepreneurs, each excelling where the other lacks, form the union that is Coastal Cake Company. The Vancouver Island business specializes in wedding cakes, cupcakes and other delectable treats. 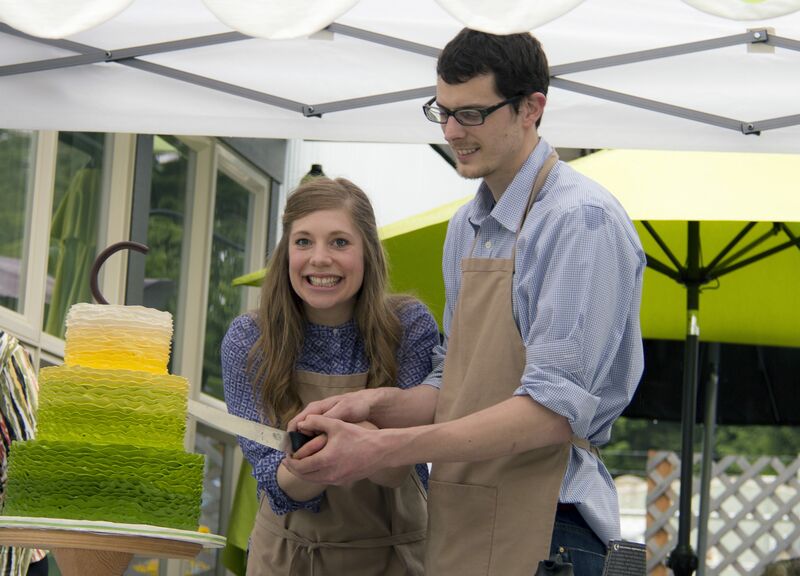 Marieke Nijenhuis and Adam Skriver are the partners and entrepreneurs behind Vancouver Island’s Coastal Cake Company. 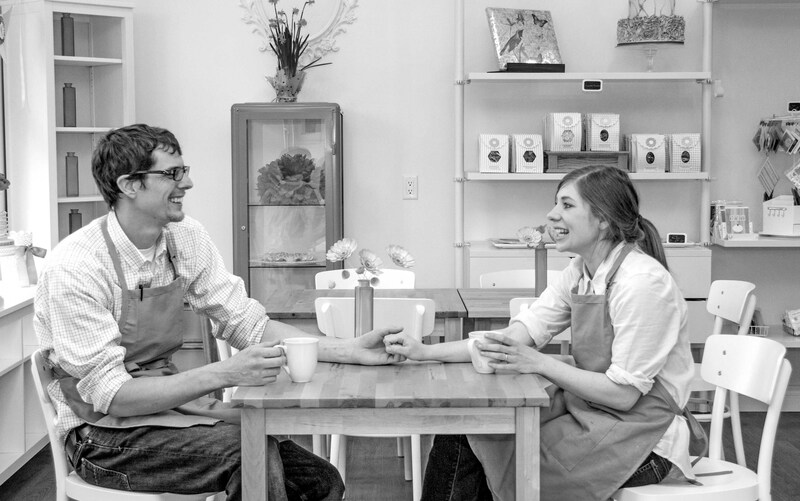 Starting from home in 2011, Adam Skriver and Marieke Nijenhuis opened a retail location in 2014 in Parksville, BC. “It’s grown exponentially from where it was at home to where it is now,” says Skriver, who has a background as an electronic engineer in the oil industry and has worked as a freelance consultant. Nijenhuis previously headed the pastry department for a catering company in Alberta. The pair moved to Vancouver Island from Calgary, where regulations didn’t support a home-based retail business model. “Being able to have a business from our home definitely helped us with Coastal Cake Company,” said Skriver. Vancouver Island showed a lot of opportunity for a wedding cake business. Through renting booths at farmers markets and wedding fairs and marketing through digital media, they spread the word about Coastal Cake Company and found a significant market. In its first summer with a retail location, the company had two part-time and one fulltime staff member. This year, they’re adding another fulltime staffer. Finding the right employees and effectively allocating their skills has been one of the biggest challenges they’ve faced. But it’s not the only obstacle he’s run into. Nobody can do his job but him, and likewise with Nijenhuis, a hallmark of entrepreneurs. Skriver admits to sometimes feeling like a fraud, like he’s making it up as he goes along. His advice for would-be entrepreneurs: look at what you’re passionate about and determine what you’re willing to sacrifice for it. That passion and belief in your project will get you through the bad days. At the same time, you have to be realistic with the scope of your business and what you can commit to. “Even if you have a bad customer or project, or some kind of pitfall comes and everything you thought was going to go perfect goes bad, you still have to have the ability to get up the next day and keep moving through the next problem,” said Skriver. Coastal Cake Company works because of the commitment he and Nijenhuis have. “If you’re really passionate about something, you really think it’s a good idea, you’ve done as much research as you can to perceive the unknowns, then I think you should just try it and do it,” said Skriver. Find out more about Coastal Cake Company at http://www.coastalcakecompany.com.